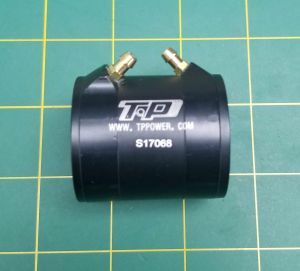 Water jacket for the TP Power 3630, 3640 and 3650 V1 & V2 version motors. 45mm (1.77") long, the jacket is long enough to cool the motor well. Yet weighs just 2 ounces. Approx. 1.77" (45mm) long x 1.58" (40mm) outside diameter.